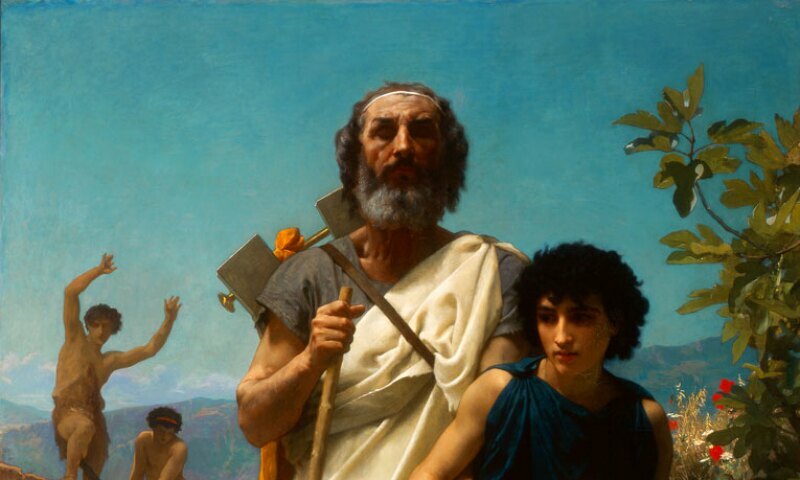 William-Adolphe Bouguereau, Homer and His Guide (Homère et son guide), 1874. Oil on canvas. Bouguereau & America showcases nearly 50 masterful paintings by the French academic painter William-Adolphe Bouguereau (1825–1905). The exhibition explores the artist’s remarkable popularity throughout America’s Gilded Age, from the late 1860s to the early 1900s. During this period, owning a painting by the artist was de rigueur for any American who wanted to be seen as a serious collector: the artist’s grand canvases brought a sense of classic sophistication to newly formed collections. Their chastely sensual maidens, Raphaelesque Madonnas, and impossibly pristine peasant children mirror the religious beliefs, sexual mores, social problems, and desires of that period. Moreover, the exhibition offers an opportunity to examine how society’s perspectives can shift over time.